Nestled in the South-Eastern part of England, Surrey is a county with unparalleled natural beauty. Characterised by acres of rolling meadows and fragrant breeze, a rich history of art and architecture, vibrant market towns, historic castles and the quintessential English villages that look like they have come alive from a picture postcard, the leafiest county of England provides a brilliant escape from the hustle and bustle of city life. Located very close to London, Surrey enjoys great connectivity and proximity to city life. Surrey is a major economic force in present England and boasts of the highest per capita income outside the capital. Owing to the stable economic strength, a large number of multinational companies have opened up their branches in Surrey. Electronics giants like Toshiba, Whirlpool, Philips, Samsung and Canon are housed here. The pharmaceutical industry as well as the services based sector is thriving here. Over the years, a number of FMCG (Fast Moving Consumer Goods) like Unilever Limited have also ventured into Surrey. The natural beauty of Surrey is well-known. In fact, the green woodlands of the Surrey countryside are beautiful visions of omnipresent greenery that covers the earth in a rejuvenating embrace. The Surrey Hills Areas have been declared as an Area of Great Natural Beauty (AONB). The ancient heathlands, the highlands of Leith, the Box Hills north of Dorking as well as the natural amphitheatre located at Devil’s Punchbowl never disappoint an outdoor enthusiast. A number of adventure sports options are available in Surrey as well. 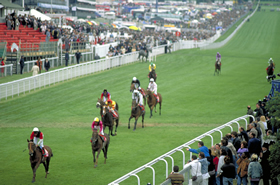 These range from 4D racing at the Brooklands Museum and the Wild Wood Treetop Experience at Guildford to the horseraces at Sandown, Kempton, Lingfield and Epsom Downs. Denbies Wine Estate, England’s largest single estate vineyard is located in Surrey. Apart from amazing brews, it offers mesmerising views, especially when the harvest season arrives. Other places of interest include the Tudor Mansion of Loseley Park, the post-war Guildford Cathedral, the Claremont Landscape Garden and the Royal Horticultural Society Gardens. The fictional town of Little Whinging, where the Dursleys (the muggle relatives of Harry Potter) resided, is supposed to be located in Surrey. Surrey has a significant presence both in England’s history and its popular culture. A county with a thriving music, art and literature traditions, Surrey is a taste of modern England. 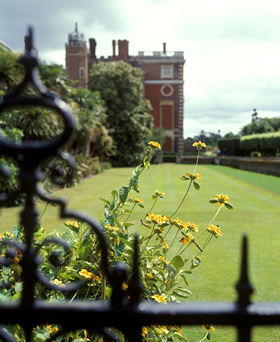 Hampton Court Palace and Gardens, Hampton Court, East Molesey, Surrey. 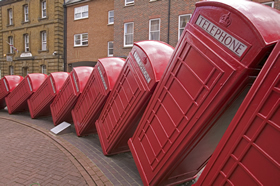 Kingston's tumbling telephone boxes, Kingston Upon Thames, Surrey. 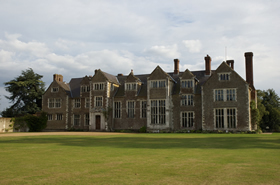 Loseley House, built between 1562 and 1568 by ancestors of the More-Molyneux family to replace a much smaller house when Queen Elizabeth I requested something more substantial for her stay. 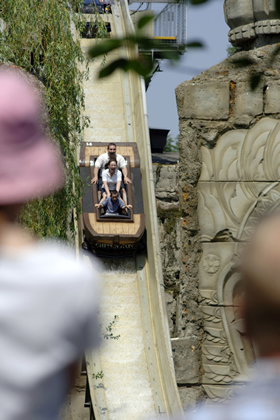 The classic log flume ride Dragon Falls, in the Mystic East at Chessington World of Adventures, Chessington World of Adventures. 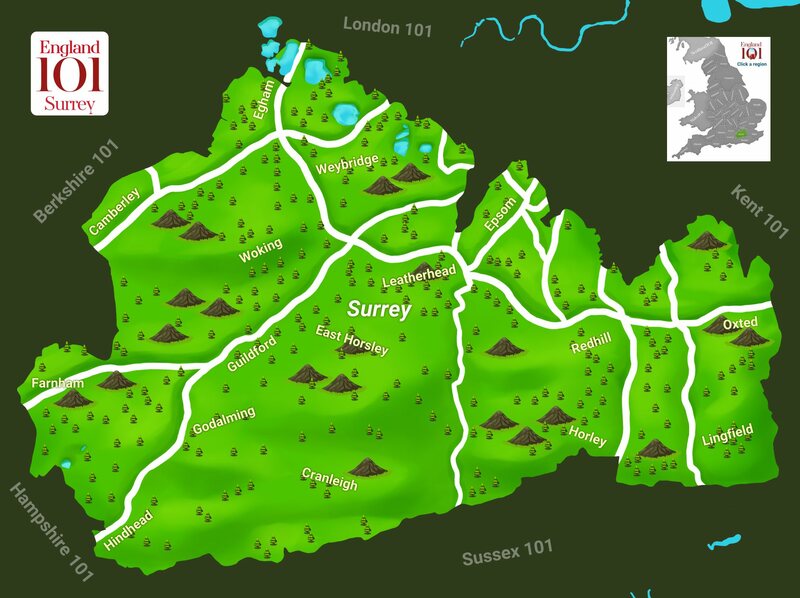 How much do you know about Surrey ?